The Ferrari 166 is the first Ferrari model produced in significant quantity. Ferrari was focusing its activities on competition; soon it was discovered that selling road going sports cars allowed financing the competition activities. 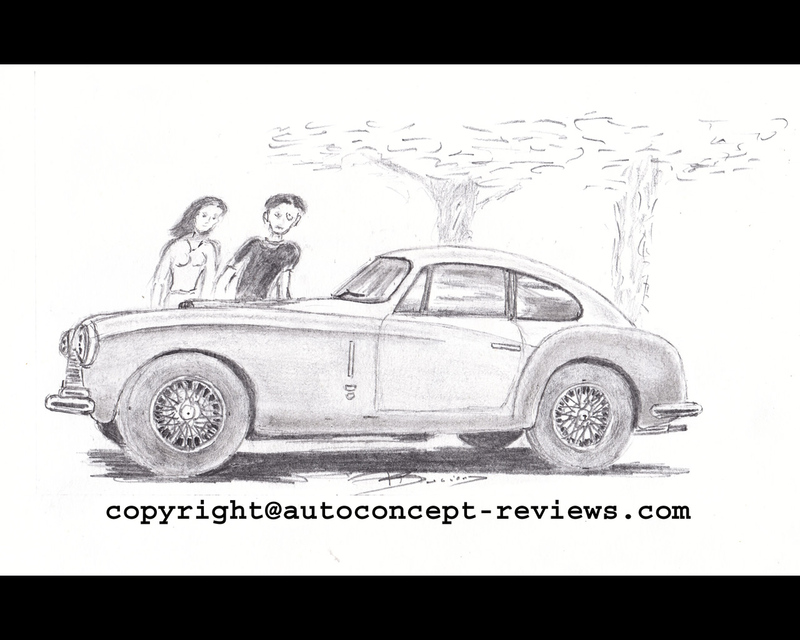 The Ferrari 166 was proposed in short wheelbase designated Export or MM and longer wheelbase called 166 Inter. The short wheelbase (220 cm = 86,6 inches) 166 MM was dedicated especially for competition and was very successful at Le Mans 24 Hours, Mille Miglia or Spa Francorchamps. Thirty two examples of 166 MM or Export were completed. The long wheelbase (242 cm =95.3 inches) 166 Inter was more dedicated for everyday use; thirty seven Ferrari 166 Inter examples were built. 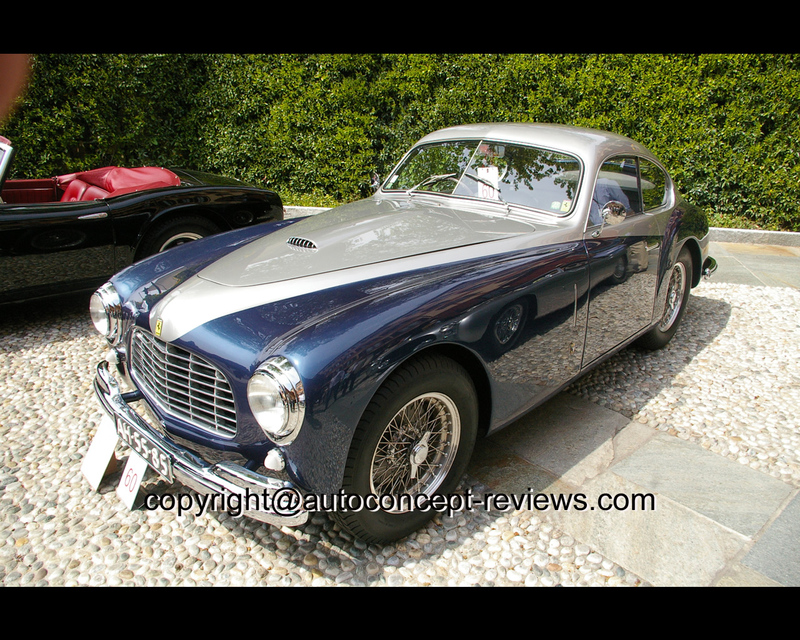 Both the Ferrari 166 MM and the 166 Inter were sold in complete running chassis for which several coachbuilders prepared original body designs. Considering the high price and limited production no models were absolutely identical. A few coachwork details vary from one to another. The 166 designation refers to the internal volume capacity of one cylinder in cubic centimetre. The V12 prepared by Gioacchino Colombo made a total 1995 cc and the power output could vary from 90 to 120 hp depending whether the alimentation was by one carburettor or by three carburettors. Several models were later upgraded to 195 or 212 specifications as it was cheaper than simply replacing the entire automobile. The chassis similar for all early Ferrari is ladder type with oval section tubes with traverses. The front suspension is independant with transverse leaf spring and Houdaille telescopic shock absorbers. The rear suspension is by rigid axle and semi elliptic leaf springs and hydraulic shock absorbers. There are four wheel hydraulic drum brakes. 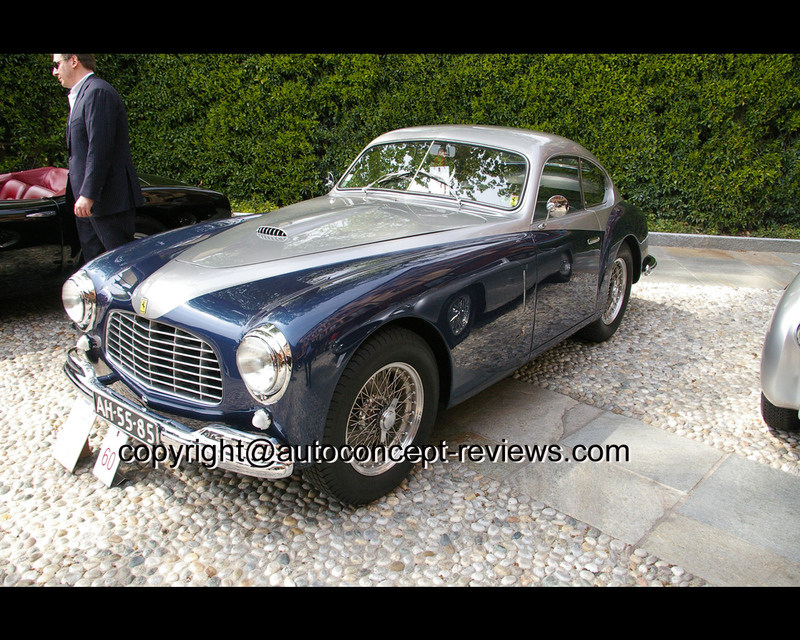 The Ferrari 166 Inter of this article has a coachwork by Stabilimenti Farina. Stabilimenti Farina was initiated in 1910 by the Farina brothers and remained in activity till 1952. It is not to be confused with Pinin Farina later spelled Pininfarina in one word. Batista Farina had worked till 1930 with his brothers at Stabilimenti Farina when he founded his own Carrozzeria Pinin Farina. Pininfarina is still in operation today and has started coachbuilding Ferrari in 1952. 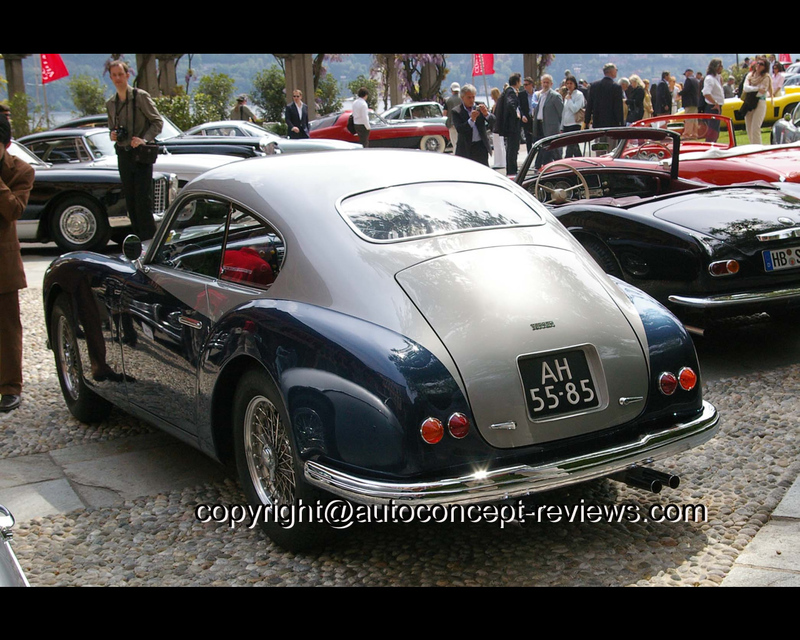 Stabilimenti Farina completed four aluminium coupe bodies for the Ferrari 166 Inter and three convertibles. 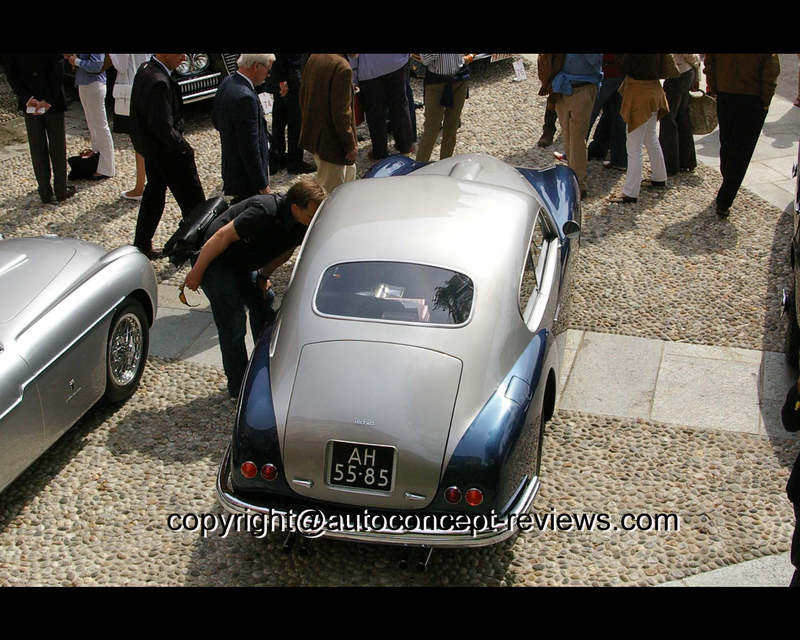 The Ferrari 166 Inter of this article with chassis number 037S was introduced at the Concorso d'Eleganza Villa d'Este 2008 by Edgar Shermerhorn from the Netherland. This Ferrari 166 Inter was sold for 462.000$ at the Monterey RM Auction in 2010.